You can get a false sense of security when things are going well. Sally and I have owned The Overlook for a little over a year now. Revenue is up, guests are happy, and we feel like we've gotten a handle on operations. Right when you think you know it all, something happens to remind you that you don't. For us, it was a group of guests in December who did some minor damage and stole a few items including a bluetooth speaker from the game room. The damage has been fixed and the game room has a new speaker, but I still used the opportunity to seek some advice. I called Dr. Fred van Bennekom, a customer service expert whose company, Great Brook Consulting, helps companies listen to their customers. Van Bennekom recently sold a vacation rental property in Harpswell, Maine that he had owned for more than ten years. (You can see photos and a short video tour here.) He had plenty of lessons to share. After the theft. Why was the picture off the wall?! Q: How have customer expectations changed since you first bought your property? "Customer expectations have changed dramatically in the past ten years. Ten years ago, house rentals were a cottage industry. People did it, but it wasn't widely known. "If there were some rough edges in the property or the furnishings, people were okay with it. I think it reinforced the idea they were getting a bargain. "Today, HomeAway has TV ads of a family renting this gorgeous house on the ocean with an in-ground pool so they can bring their dog on vacation. How many of the homes in HomeAway's inventory actually look like the house in the ad? Probably very few, but that ad creates a certain expectation. "People today are less tolerant of rough edges. Even kitschy furniture that used to be a plus can now be viewed as a negative. People expect to rent a 3-bedroom house on the ocean at about the same price as a hotel room—but have the amenities and services of a hotel." Q: Have you seen a shift in guest demographics? "In later years, I started to have more guests who didn't really understand how renting a house is different than renting a hotel room. "For example, we provide a set of linens and towels for each guest plus a few extra towels. In a hotel, the housekeeper will come each day and change your towels or you can call the front desk and ask for more. "It's different in a rental house. You need to wash your own towels if they get dirty and we do have a washer and dryer. "I got a call one Tuesday night after 10pm. My guests had checked in over the weekend and now wanted to wash the towels but they were complaining that the washing machine was not working. "The washing machine worked just fine, but they didn't know how to turn on the water shut off valve. I think they rented an apartment and weren't familiar with how things work in a house. "I put instructions for things like this in the house guide and even email a copy to guests at booking, but they don't always read it. By the way, two days later this guest called because the dishwasher wasn’t working. The kitchen is directly over the washer, and he had apparently turned off the hot water valve to the kitchen sink when trying to get the washer working and didn’t turn it back on." Q: Did you do anything different over the years as guest expectations changed? "When I first bought the house, it was not customary to provide guests with consumables such as paper towels, toilet paper, and dish soap. "The next year, I went on a trip to Ireland with my family where we rented a house. The very first thing we had to do was go out and buy consumables; there were none in the house. I realized this was a hassle for guests so I decided to provide all the basic consumables at my rental property. You can buy these pretty cheaply in bulk at Costco. "That year, the Costco-size supply of toilet paper was left in plain view and someone took it all! People would also throw smaller bottles of laundry detergent into their car. After that, I started providing “starter supplies” of consumables. I put two rolls of toilet paper in each bathroom, and I bought a really big laundry bottle and kept refilling it." Q: Speaking of taking things, what was your experience with theft and damage? "The first year we had the place we outfitted it with cute little knickknacks, but we quickly realized things get lost, damaged, or stolen—not sure which. My wife and I played a game called, “What ever happened to the…?” You shouldn't put anything in your vacation rental that you really don't want to lose. "The one I really remember was my Maine Gazetter—a large, detailed atlas of the state. I’d owned it for decades and had my own notations on the map, so I was really disappointed to lose it." "An off-season renter got into some sort of fight with her boyfriend and he broke four of the rugged dining chairs and damaged several walls. She tried to glue the legs back on one of the chairs but it completely fell apart. "I also found coins and sand in the dryer, as if someone had gotten their pants wet and then just tossed them in the dryer without cleaning them off or emptying the pockets. The dryer’s bushings died a few months later, no doubt from the sand. "Those experiences reinforced the practice of communicating with guests and having your property manager inspect the place so you can charge the guest out of their security deposit when there is damage or theft." Q: What was the toughest part about owning a vacation rental property? "The stress of having to deal with crisis situations when you don't have resolutions and knowing at any time the phone might ring with some new crisis. "I once got a call on Monday that there was no water at the house. I live 2.5 hours away, so I had to work with my property manager to diagnose the problem. We had guests arriving that Thursday for their kid’s college graduation, so I had to reach out and tell them I wasn't sure whether there would be running water when they arrived. "It turned out that the well pump had died. Fortunately, I was able to get it fixed in 24 hours, but the work pales in comparison to the stress." Q: What did you like best about owning a vacation rental property? "I actually enjoyed interacting with renters during the sales process. It was nice having conversations with people about the local area and helping them make plans. "Maybe only one out of ten guests was a major headache. The rest were really enjoyable. But, boy, those ‘ones’ wear on you after a few years. That’s why we sold." A disaster has the potential to have an extreme negative impact on your customers, your employees, and the future of your business. You might experience a technical disaster, such as the computer malfunctions that have caused several airlines to ground their flights. It could be a PR disaster, such as the one many companies have recently faced when they got caught in a political crossfire. Or your business could experience a natural disaster, such as the flood that submerged parts of Houston, Texas in April 2016. Earthcare Management, a full-service landscape management company, suffered millions of dollars in damage when its office and equipment yard flooded. I spoke with Brent Abshire, Earthcare Management's President and Owner, to hear how he and his team handled the disaster, avoided layoffs, and came back stronger than ever. Q: When did you first learn your business had been flooded? "It started raining pretty heavily on Sunday, but it wasn't until Monday when the flooding happened. I woke up Monday morning, turned on the local news and saw an aerial view of my shop from the station's helicopter! "I could tell the shop was flooded from the picture on television, but I didn't know how bad it was going to be." Q: What did you do once you learned about the flooding? "There was flooding in the streets around the neighborhood where I live, so I was stuck at home on Monday and couldn't get in to the office. "I knew it was probably going to be pretty bad, though, so I immediately started making calls and hunting down replacement vehicles and equipment. I called the John Deere guy and ordered about 100 machines [lawnmowers, etc.]. I called my truck guy and rented 65 trucks. I ordered about 1,000 tons of gravel rock to put down in our equipment yard because I knew that was going to be a mess too. "I was able to meet with my management team on Tuesday by mid-day. The shop was still flooded, so they came over to my house and we made a plan to assess the damage, clean everything up, and get back up and running. "We were able to get to the shop by Wednesday. We had to wade in the last 1/4 mile because there was still water. "My insurance agent came out to help assess the damage. The office itself was a total loss, but we started cleaning up and salvaging whatever equipment, trailers, and tools that we could. "I had the whole family help. Friends came and helped us too." Q: How did the flooding impact your clients? "When I met with my management team on Tuesday after the flood, we targeted the following Monday to get back to our normal operations. "Many of our landscape management clients experienced the same flooding we did, so their properties had a lot of debris. We called them and said, 'We can't mow, but we can pick up trash and help you get cleaned up.' They were happy to hear from us. "By Thursday, we got about 25 rented trucks in, so we were able to start sending out crews to our client sites to help them get cleaned up. We kept at it through Sunday while other employees stayed at the shop pulling equipment out, putting new rock in the yard, and cleaning up tools. "We were able to resume our normal schedules by the next Monday." Q: Disasters like this can have a big impact on employees who risk losing their jobs when there's no work. What happened to your employees? "Nobody lost their job. We actually grew as a result of the flood. "My employees are really committed. It was a team effort throughout the whole process. I think they thought, 'If the flood didn't stop this guy, we'll do anything!' I know many of our employees had friends or family members who lost jobs because the place where they worked flooded too, so it probably made an impact that we got people working so quickly. "We're also contractually obligated to serve our clients, so it was very important that we keep our deals." Q: Were you able to learn anything from this experience to help you prepare for another disaster in the future? "We did some research and learned that once rainfall reaches 8 inches, we should start evacuating the equipment yard. The office is pretty seamless since we have offsite backups for the computers. What really hurts is losing our equipment because that's what we take out every day to make money. "A couple of weeks ago, we did a small-scale simulation where we practiced a procedure for moving vehicles and equipment out of the yard. It went well, so now we're going to run a large-scale simulation. "The plan is to practice our disaster plan one or two times per year and never stop practicing, so everyone will know what to do if this happens again." Customer service initiatives won't go anywhere unless your company's top brass gets fully behind it. That can be a tall order for many customer service leaders. Executives don't always feel they have the time or see the value of fully committing company resources. I asked Teresa Allen, a veteran customer service trainer and keynote speaker, to share her perspective on getting executive buy-in. Allen is the author of Common Sense Service and the owner of Common Sense Solutions, a national customer service training and consulting firm. She currently ranks #1 on the Global Gurus list of the top customer service experts in the world. She's also one of ICMI's Top 50 Thought Leaders to Follow on Twitter. Q: What do customer-focused companies do differently than other organizations? "The common thread is a fearless leader who considers customer service part of the company mission and culture. "Providing great customer service gives you permission to sell to your customers. It's marketing, not an expense, but senior leaders need to believe that. It's got to be a top-down approach. Q: Why are these fearless leaders so scarce? "I generally see two different types of organizations. "In one type of organization, the top executive is out there every day talking to customers, soliciting feedback, and leading the charge for exceptional customer service. They have often risen from the sales side of the business and have seen the link of service to sales revenue and profits. "In another organization type, executives are not keyed into the value of a customer service culture. They look at it as an expense item instead of a revenue generator. In some cases, this is because customer service has never been their world. They may have come from a finance or legal background and thus have never been directly exposed to the customer side of the business. In this environment, building a service culture can be a real challenge, because a customer service initiative will never be fully successful unless top leadership of the organization are supporting it and driving it. "Developing a customer service culture can't be a revolution. It has to be an evolutionary process. Executive buy-in combined with hiring of service minded individuals is key. Training should be designed to support the company’s service objectives across all departments and positions until gradually everybody in the company is on board." Q: What are some ways that customer leaders can encourage more executive buy-in? "Customer service leaders in organizations are often not able to prove outcomes, particularly as that relates to the bottom line. 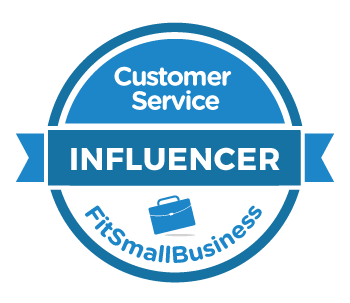 If I invest in improving customer service, can I show that it's driving sales and profits? "Customer service surveys can be helpful if executives use them to drive results. Whenever I get contracted to do a customer service program, I always ask my client to forward any available customer service survey data. It's okay if they send me the numbers, but what I really want is the comments. I want to look for what I call red lights, yellow lights, and green lights. The red lights indicate pain points that can lead to serious loss of business, the yellow lights are comments illustrating areas to be cautious about, and the green lights are compliments and kudos on exceptional service that serve to strengthen customer relationships. "Organizations should market to their strengths and train to weaknesses. Companies can evaluate those green lights and find a way to use them as a marketing business building tool. The red lights should be incorporated into the next customer service training program so the problems get solved. "I ask the leaders I work with, 'How are you sharing this data?' Sadly, I often hear that it is only held by the marketing department. Survey data is valuable far beyond marketing. 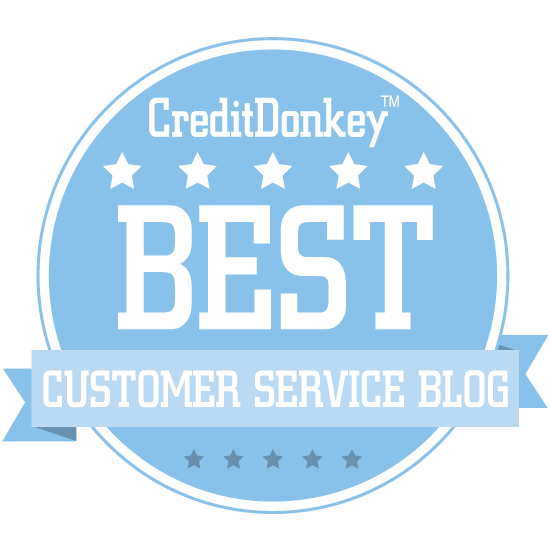 It should be shared with employees so improvements can be made as well as to recognize team members who are growing the success of the organization through exceptional customer service." Q: Assuming you can get an executive to sign-off on investing in customer service, what are some ways to keep him or her involved? "Whenever I deliver customer service training or keynotes, I always ask someone from the executive team to introduce the program and tell everyone why it’s important to the organization. "It would be great if the CEO or President did this, but that's not always possible since they're often very busy people. But some executive should be there, such as the vice president of human resources or the vice president of sales or marketing. "Customer service can't be perceived as the training ‘flavor of the month.’ With regular executive emphasis and follow through, customer service will be viewed as an integral success strategy and will be more likely to be taken seriously by the organization as a whole. "When an executive makes a real commitment to being customer-focused, it provides a mandate for the company to do things differently. For example, managers must take the time to hire the right people who can help the company deliver outstanding service. "The human touch is big! This means that training representatives in face-to-face and telephone customer service and communication skills is still critical. You can help steer more investment into the right service initiatives if you can show executives this is what customers really want and combine that with solid ROI data." Customer service is outsourced in many businesses. That fast food chain may be run by a franchisee, not the brand on the building. Your delivery driver might be an independent contractor. The contact center you call with billing questions might be run by an outsourcer. This creates a challenge for businesses that want to deliver outstanding customer service, but don't directly control the people that are delivering it. The automotive industry is set-up this way. The vast majority of new cars, trucks, and SUVs are sold through a network of franchised dealerships. I spoke with Sprina Moon, Senior Manager, Retail Process Improvement for Hyundai Motor America to ask how her company tackles this challenge. Moon works with Hyundai dealerships to improve the customer sales experience which ultimately leads to better customer satisfaction and loyalty. Her company is doing quite well as Hyundai has been ranked #1 in customer loyalty for seven years in a row. Q: How important is customer-focus to the success of Hyundai's dealerships? "Hyundai typically offers more value than our competitors. What I mean is that for the same dollars or less you get a Hyundai vehicle with more options than the competition, so we should generally win if customers are looking for a vehicle we offer. But if a customer doesn't trust their salesperson, they will go somewhere else. Most Hyundai customers spend a large amount of time researching the vehicle they are interested in buying so when they get to the dealer, they can tell if the sales person is being less than honest. The thing to think about in this day and age is that most OEM’s [original equipment manufacturers] make good quality vehicles, so what separates the good dealers from the bad ones is how well they do with the customer sales experience and added value of why a customer should buy from your dealership. "Salespeople don't always realize the customer's buying decision is not just about price. People want to buy where they're treated with respect. Respect of their time and respect of their buying decisions. "Dealerships don't actually make the bulk of their profit on new car sales margin. They make a large portion of their money from the new car finance and insurance department. Another very important department at the dealership is the service and parts department so you want to start creating a long-term relationship with a customer during the sales process by getting them comfortable with coming to the dealership for their maintenance service needs. "That first lease or purchased car can lead to many others. Some people lease a new car every two or three years. Even people who purchase a car are likely to come back within about five years to buy their next one." Q: How do you help dealerships improve customer satisfaction? "I do a lot of training around sales, product knowledge, and soft skills. In a dealership, soft skills are things like a proper greeting and doing through needs analysis so that the consumer is buying the right vehicle for their needs. I also work with the dealerships' owners and general managers to help them better understand how customer service can impact their bottom line. "For example, one project I've been working on is identifying buyers who live near a Hyundai dealership, but purchase a vehicle at another Hyundai dealership that's farther away. I can share this data with a dealership's general manager to help him see how a poor customer experience might be costing the dealership sales. "Another thing I do is share best practices. One thing I share with dealerships is how to create a wow moment when a customer comes in to pick up their new vehicle. The salesperson can put the vehicle on display in the showroom or put a big over-sized bow on it to make them really feel special when the customer comes in for their new vehicle. This can create a lasting impression that makes the customer feel great about their purchase. "Many of the best practices that I review with the dealer are common sense practical items that we experience every day. Some of the things I ask dealers to think about is their non-dealer experiences like how they get treated at their favorite restaurant or when they go shopping at a high end retailer. The customer experience they get is no different than the way that their customers expect to be treated when they buy or service their car at the dealership. "I also learn a lot from the dealerships too. Hyundai might have a new program that seems great in theory, but it doesn't work for our dealers for some reason. I can share that feedback with our National office and help to make it better." Q: What are some of the most important skills that a dealership's salespeople should have? "Salespeople need to be able to ask the right questions to uncover customer needs. Asking a customer what color car they wanted can backfire if they ask for a specific color that's not available. A better approach is to ask if the customer is looking for a lighter or darker car. This might give the salesperson more options to share. "One of the biggest and most underrated skills in understanding what your customer vehicle needs are is to not say anything and listen carefully to what your customer is looking for and then ask appropriate open ended questions. "It's also helpful to be resourceful. The specific vehicle a customer wants might not be on the dealer's lot, but the dealership can often track it down for the customer. "Customers visit just 1.4 dealerships on average before purchasing or leasing a vehicle, so it's important to create a positive relationship right away. That's where it helps for a salesperson to have the right attitude. You can teach someone with the right attitude how to sell cars." Q: What's the biggest challenge you face in your role? "I tell them, 'No, I haven't. But I have a lot of customer information, and that information can help you get more customers to buy from your dealership.' That usually gets their attention. I also worked at our National office building training curriculum that was designed to help our dealers provide a better sales experience. "Employee turnover is a major challenge for some dealerships, so I try to share some best practices with sales managers. A dealership's sales manager is often someone who was a really good salesperson and got promoted. They might be good at selling cars, but they have not had proper training on how to train and motivate their sales teams." Q: What have you learned from the automotive industry that you think could help people in other industries improve customer-focus? "I was talking about this with a dealership's General Manager the other day. He was telling me about an experience he had buying a television where he spent a little more money at one store because he felt they treated him with dignity and respect. "We discussed how this should be the way his customers felt too. "It's a helpful exercise. Think about the last difficult experience you had as a customer. The customers who are walking in to do business with you could be you in another environment. You would never want to treat your customers the same way you were treated in that bad experience. "A lot of dealerships are worried about negative online reviews, but if you treat someone with dignity and respect they won't give you negative reviews. We often see someone buy a car from another dealer but still recommend that dealership to a friend and say, 'They didn't have the vehicle I was looking for, but I think you should give them a try.' People tend to write those negative reviews when they feel disrespected."